K-Drama My Father is Strange Ahn Joong-Hee is an actor who used to be a member of an idol group. One day, he appears in front of a family who consists Byun Han-Soo and Na Young-Sil and their 4 children including Hye-Young and Mi-Young. Joong-Hee begins to live wth them. K-Drama Saimdang, Light’s Diary A reinterpretation of Saimdang from the Joseon times. She was a genius artist and passionate lover. Lee Young-ae takes on two roles; a college professor who specializes in Korea Art History and Saimdang. 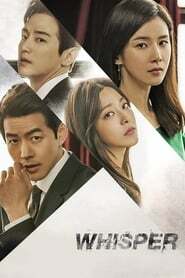 K-Drama Whisper Shin Young-Joo is a female detective with charisma and Lee Dong-Joon is a righteous judge. They uncover corruption at the nation's biggest law firm Taebaek.